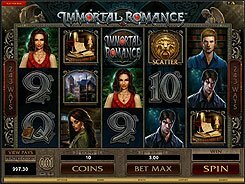 An ever-lasting love story of vampires and human beings has been masterfully reinterpreted by Microgaming in their Immortal Romance slot machine. 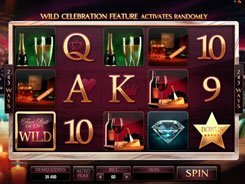 This 5-reel 243 ways to win game offers a unique Chamber of Spins feature that awards increasingly more prizes as you progress through the bonus tiers. A coin size comes in two options ($0.01 and $0.02), and the number of coins is tuned from 1 to 10 per spin. Therefore, the floor and ceiling bets are $0.3 and $6, which is an ideal option for low bettors. Along with playing card symbols, the slot features character symbols (Amber, Troy, Michael and Sarah) that pay out up to 500 coins for five of a kind. The largest award you can expect in the slot is 6000 coins granted for five scatters. 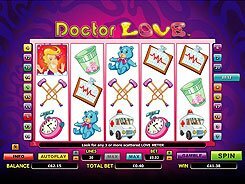 Perhaps, the most lucrative feature in Immortal Romance is the multi-level Chamber of Spins side game where you can get stunning cash prizes, free spins (both retriggerable and not), multipliers, wild reels, rolling reels, and what not. 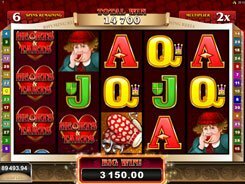 There’s no doubt Immortal Romance will be your new favorite as it features almost everything a slot fan would want to see in a modern 5-reel slot.